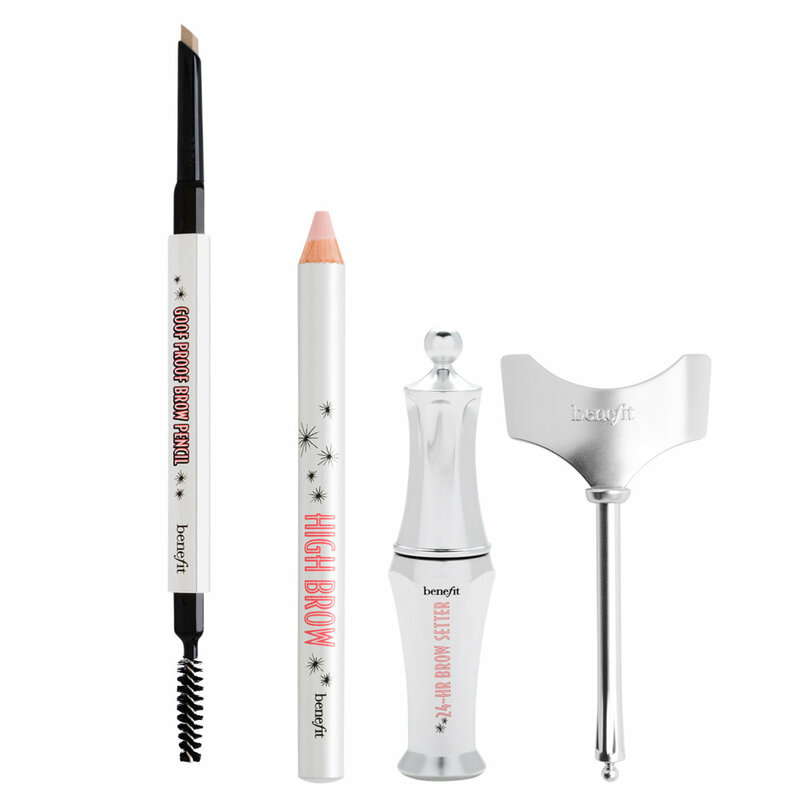 Easily shape, fill & set your brows with this unique, all-in-one starter kit. Creating perfect, natural-looking brows are now easier than ever! The soft & natural brows kit comes fully equipped with everything you need to shape, fill & set brows. Goof proof brow pencil features a custom teardrop tip and soft-glide on color for easy filling & shaping, high brow highlight & lift pencil brightens arches instantly and ready, set, BROW! 24-hour setting gel locks brow hairs in place leaving you perfectly polished all day long. Includes our signature Tips & Tricks and special eyebrow stencils so any gal can create an expert, personalized brow shape in an instant. Create a baseline for your brow by tracing along the stencil with goof-proof brow pencil easy shape & fill. Remove the stencil and fill in the rest of your brow. Flip the stencil horizontally then repeat on the other eye. Apply ready, set, brow! 24-hour setting gel to lock on your brow makeup all day long.